SunRack concrete based solar energy ground solar mounting systems for solar power plant is a highly versatile ground mounting solutions that can be widely used in commercial and utility solar system installation. 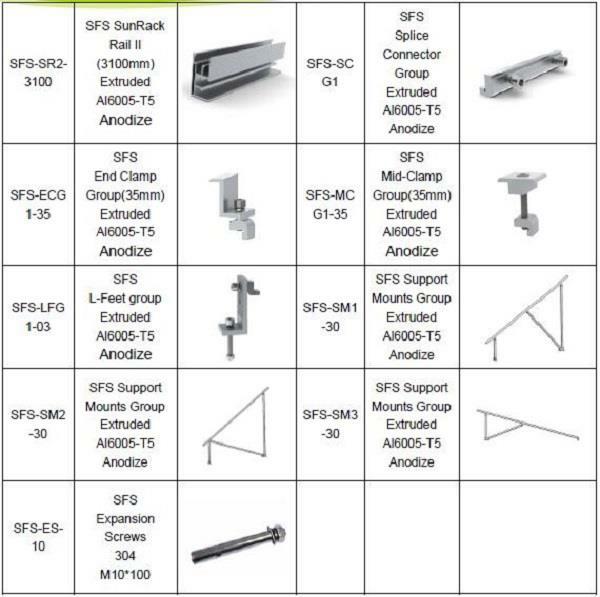 With more than 40% preassembly and patented components, Sunrack solar ground mounting structures save installer considerable a lot of time and present with great marketing edge. -.Most cost-efficient design for 2 rows panels in portrait orientation.